Hey Everyone! Glad you're back for Part 2 of this list! In case you missed it, here’s Part 1 of this Best of 2018 feature, or if you’d prefer, we also recently published the first episode of our PODCAST, which will feature this Top 10 in audio form, along with Genresquad Co-Founder Shaun Stidham going over his Top 10 of 2018 as well! At any rate, please enjoy! So if you’re still here, let’s finish this up! I can’t tell you how many times Paddington 2 almost fell off of this list, but each time it did I would go back and think about it, and simply not be able to drop the movie out of my top 10. The reason for this was a simple one; while other pictures from 2018 could claim to be more thrilling or thought provoking or moving on a human level, no film this year could match this one for being a sheer whimsical delight. Director Paul King builds on the first film from top to bottom, telling another charming story with such glee that it becomes an undeniably infectious work of quirky wonder. After catching up with the little bear Paddington (voiced again Ben Whishaw) and his newfound adopted family, The Browns, we get to see how Paddington is positively effecting his whole community, letting director King shine with his energetic camerawork and charming storytelling. Even as Paddington is framed for a crime and sent to prison (not kidding), the movie never stops being enchanting. 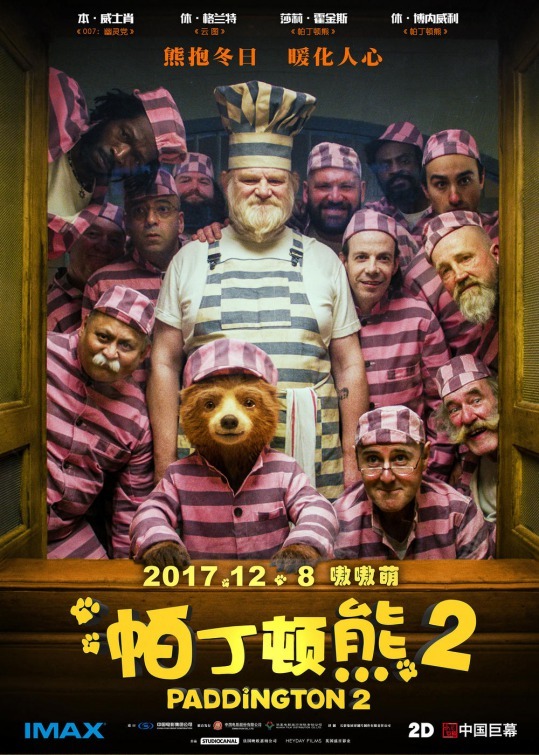 In fact Paddington works like a virus of positivity throughout the prison population, amusing all that he comes in contact with, including awesome new characters to the series, such as Brendan Gleeson as prison chef Knuckles McGinty. Perhaps worth the price of admission himself though, is Hugh Grant as the film’s antagonist Phoenix Buchanan, who in all seriousness deserves an Oscar nomination for his work here. Plain and simple, Paddington 2 was the antidote of escapism to a loud and obnoxious world outside in 2018. With camerawork and production design playful enough to make Wes Anderson jealous, along with top notch, tender performances from the returning Browns (Hugh Bonneville and Sally Hawkins), there simply isn’t a weak link in Paddington 2’s arsenal. Even more importantly, this is a film that illustrates just how one person (or bear) can change all around them by simply being a optimistic force for good. In fact, the message is so strong and so well executed that I’m wondering why I have this film so low at #10? Instead of doing a big write-up for James Wan’s superhero epic, I so badly just want to leave a GIF of Jason Mamoa saying “YEA-UHH” or “AWW-RIGHT” because those are the emotions this movie just happens to bring out in me. Truly though, Aquaman makes this list on pure energy and style alone. James Wan stages a full on assault on your senses in this movie with incredible visuals and a nonstop pace that doesn’t let up until the film’s credits start rolling. As a longtime DC fan, I’m hoping this picture signals a course shift for all of the DCEU moving forward. While I’ll admit to being a pretty big admirer of the scope and ambition of Man of Steel, a lot of the post-Christopher Nolan DC output at Warner Brothers seems to have lost what makes a lot of their individual characters special (Patty Jenkins’ Wonder Woman notwithstanding). What works great for Batman (dark and gloomy) doesn’t necessarily work for the rest of the DC superhero line-up (The Flash), and thankfully Aquaman manages to eschew DC’s customary gridmark with authority. This is a confident, brazen superhero epic that doesn’t care what your preconceptions about its main character may or may not be. You think Aquaman or the fact that he can talk to fish are silly? How about a character that can command gigantic underwater kaiju and wields an ancient badass weapon? Does that sound silly? 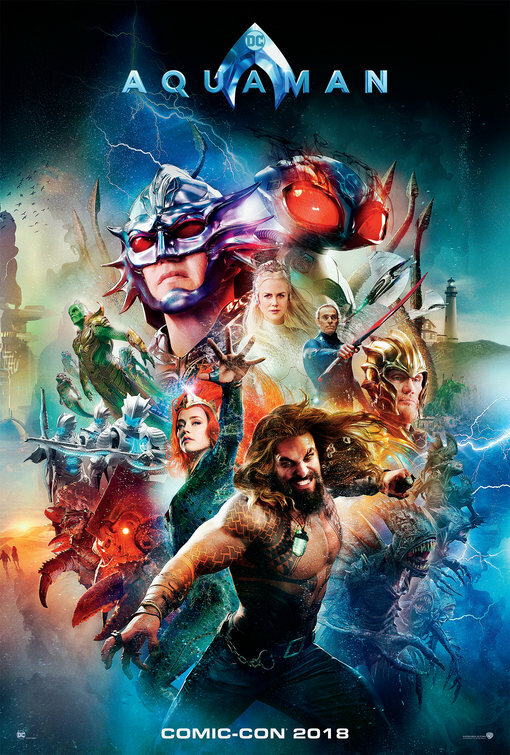 Through the combination of Jason Mamoa’s irrefutable charisma and James Wan’s penchant for glorious set-pieces this is a movie determined to overwhelm you with big, cheesy fun. If this is the direction the DC Extended Universe is headed from here on out, then by all means bring it on. For my own money, if I were to pick a region to be the undisputed champion of Asian action at the moment it would have to be Indonesia. Like the film industries of Hong Kong, South Korea, and Thailand before it, the country’s output came out of nowhere to garner international attention with outrageous action films. The film industry in Indonesia burst onto the scene with Gareth Evans’ Merantau in 2009 and then exploded with Evans’ follow-ups The Raid and The Raid 2 in 2012 and 2014, the latter of which I would consider one of the best action films of all time. With Evans now exploring new opportunities in western cinema, including this years’ shocker The Apostle, the mantle now seems to be passed to Evans’ previous collaborator Timo Tjahjanto. The director’s Headshot in 2016 was a fun ride that managed to capture some of the Evans energy from his previous Raid entries, but with this past year’s The Night Comes For Us, Tjahjanto announced he was a voice all his own to be reckoned with. The plot is pretty standard stuff, with a Triad member going rogue rather than murder a little girl, as his gang bosses try to make an example of him with horrific results. If you’re like me though, the plot of this film was pretty low on a list of its priorities. Like The Raid films before it, your mileage is really going to vary depending on how much screen violence you like to endure. This is a movie that I found pretty shocking, and I would say that as a fan of this subgenre, my tolerance is pretty high. After a few scenes of setup, there seems to be no stop in this flick once it gets going, and when the fists start flying you barely have time to catch your breath until the fighting stops for good. The violence here is something more akin to a Saw movie but with a more stylish edge and a kinetic ferocity. Bones break, limbs are severed and men are set on fire for your viewing pleasure in the name of heroic bloodshed, bringing to mind the types of movies that made John Woo and Tsui Hark famous. We may never get to see The Raid 3, but if he’s got a few more like this one in him, then Timo Tjahjanto may make me not care quite as much. Most of the complaints I heard about Solo: A Star Wars Story after it came out had to do with what the movie wasn’t as opposed to what the movie ended up being. It wasn’t a Star Wars picture directed by original directors Phillip Lord and Chris Miller, who were both fired mere weeks before the film’s completion. It wasn’t a Han Solo movie that starred Harrison Ford. It also wasn’t a Star Wars film coming out at Christmas time, which had been the case with all of Lucasfilm’s releases since The Force Awakens in 2015, so this time out the window between releases was only five months, and the movie itself happened to follow The Last Jedi, which is probably the most divisive entry in the entire series. All of these factors seemed to lead to Solo being the least profitable of any Star Wars film in history. Do you know what Solo ended up being, though? An absolute blast for this longtime Star Wars nerd. Now I get the initial hesitation of someone stepping into Harrison Ford’s shoes. For me personally, and I’m sure this was true for a lot of my generation, Han Solo was one of my very first favorite fictional characters. Along with Luke Skywalker and Superman, Solo was one of the first onscreen characters I saw and went, “I want to be that guy.” Solo’s confidence and swagger made him irresistible, but at the same time that character is also so entwined in our minds with Harrison Ford that it seems almost sacrilegious that someone else would play him, and I’m sure it’s that feeling that kept many people away from seeing this movie in the theater. The good news is, is that I think Alden Ehrenreich pretty much nails Han Solo. Thankfully, he’s not doing a Harrison Ford impression, but manages to get down who this character is through his own appealing interpretation. Han here isn’t a bad guy, but wants everyone to believe that he is. He’s a little overconfident, and thankfully has some piloting skills and charisma to get by on, even if he’s not quite the badass he wants to be. Ehrenreich manages to physically get a lot these characteristics across through body language and posture, and I think the movie does its best to help him make this character his own, and put a fun adventure around him to boot. Thankfully, the one aspect of this film that it gets 100% right is Han’s relationship with Chewbacca. Their meet-cute is perfect and the chemistry between the two characters is right on the money, and frankly it’s one of the biggest reasons I think this movie at least ends up a success storytelling-wise. Screenwriters Jonathan and Lawrence Kasdan know these characters inside and out, and by putting so much emphasis on the Han/Chewy dynamic they knew it would do a lot of the heavy lifting for this picture as far as introducing new versions of these characters. That’s not to mention what turns out to be an incredible supporting cast, from Donald Glover’s epic Lando to Emilia Clarke and Woody Harrellson fitting in perfectly with this universe. As for director Ron Howard, I think the bottom line is, is that he stages an authentic Star Wars experience. Solo gives me that “lighter than air” feeling, that I’ve only ever really felt from classic Lucasfilm efforts, which includes Howard’s own Willow from 1988. In fact, it was my affection for Willow that had me excited about bringing Howard onto this project in the first place, being as that film is about as close to being a Star Wars movie without actually being one as you can get. I also knew this picture was going to need a sure hand, and that’s exactly what Howard was able to give it. The main question everyone asked when this film was announced was “why make it at all?” Well, other than the obvious financial answer, creatively this movie simply gives us Han Solo back. Harrison Ford was probably never going to sport the same gunbelt and dark blue vest anymore, but now our favorite scoundrel is back in play and he brought an awesome cast of characters with him. Here’s hoping against hope for more underworld space adventures with my favorite intergalactic pirate. I already did a big write-up about this movie when it premiered back in the summer, so I won’t go into huge details now, but my feelings about Infinity War are still about the same; I still can’t quite believe that Marvel was able to pull this off. After juggling so many entries since 2008, the studio released their most ambitious movie yet, and gave us a vision that I was in awe of when it was finally over. This was an overwhelmingly awesome spectacle of magnitude that few pictures could ever hope to match, dwarfing nearly every other past comic book film in its wake. Even Marvel’s own Black Panther, which felt like it had a pretty big scope of its own when it came out a few months before, was no match for Infinity War’s Lord of the Rings-sized objectives. By managing to balance out all of the film’s many storylines and make room for 99% of the MCU (they had to save Antman and The Wasp for later in the summer) and still manage to pull it all off this well feels like some sort of miracle. On top of that, the movie manages to make Josh Brolin’s Thanos one of the most compelling cinematic villains of the decade. All of this equals one of the biggest movie achievements of 2018 and sets up 2019’s Avengers: Endgame as the movie to beat for most anticipated. While Incredibles 2 picks up the exact second where 2004’s The Incredibles left off, my own life went through huge tectonic shifts in the 14 years between the first film and the release of its sequel. I got a new job, got married and bought a house in that time, and most importantly I became a dad, which completely changed my worldview and outlook in ways I couldn’t have possibly predicted. All these changes hit me hard as I watched Brad Bird’s superhero opus, as the incredible Parr clan wrestle with new family dynamics as much they end up wrestling with supervillains. Now here’s the thing: If you’re just into giant set-pieces and feats of heroism, then Brad Bird already has you covered. Incredibles 2 is packed with amazing action, from Craig T. Nelson’s Mr. Incredible and company fighting Underminer’s giant drill machine to a super-fun bike chase utilizing Holly Hunter’s Elastigirl and her specific powers, to my favorite sequence in the movie, which features a breathtaking inflight rescue. Bird has such a dynamic sense for action, and it seems to have grown even more pronounced here, as just like the first film, Bird is able to satisfyingly take advantage of the freedom that animation affords him. What makes this film stand out though, is that there’s just so much to chew on here besides the action. Elastigirl returns to hero status, which serves as a metaphor for women re-entering the workplace and being the bread winner, and having to deal emotionally with not having as much time with her kids. This is all going on while Craig T. Nelson’s Mr. Incredible has to deal with being a stay at home dad, and while I, myself haven’t ever been left with super-powered children, Bird so perfectly captures struggle of parents trying to keep their baby safe from harm, all while the baby is trying to seemingly destroy themselves and all in their path. You understand so fully why busting through walls and lifting cars is so much easier than dealing with high school drama or teaching a kid with limited attention how to do fractions. It’s easy to recommend this movie for its big action, but watching the film for its portrayal of everyday struggles is really what makes it sublime. Also watching Baby Jack Jack fight a raccoon is a sequence for the ages! Speaking of films portraying domestic struggles, Alfonso Cuarón’s tribute to his own childhood housekeeper is a masterpiece of intimacy and understanding. Depicting the life of Cleo, a native Mexican nanny and housekeeper, as she deals with devastating personal moments, the disintegration of the family she works for, as well as simply living during the turbulent political era of 1970s Mexico, Roma finds overwhelming beauty in the mundane struggle of everyday life. Though the film isn’t always the easiest picture to watch due to disturbing imagery and terrible circumstances that befall some of its characters, Cuarón’s moving film is a testament to the working people that effect our lives. It also doesn’t hurt that Roma is another technical wonder from a director who has made his reputation on making one after another. With his signature camerawork in tow and sound design worthy of the Cuarón’s own Gravity, this ambitious picture envelops you in this world with its beautiful tapestry of sound and black and white images. Even simple moments, such as the film’s opening credits watching Cleo clean a drive way become a sort of magic trick in the hands of a film maker such as this. “Movies are a machine for empathy” Roger Ebert once said, and Alfonso Cuarón’s latest effort is living proof of that. Told with such a beautiful voice, Cleo’s story is one that feels so universal even though this is a tale that takes place foreign country, in another era, and spoken in another language. Roma’s tougher moments may make it a picture not suitable for everyone’s taste, but this is a movie that feels like it is going to live on forever. I love and have always loved superhero movies. Growing up in Richard Donner’s Superman era hooked me in as a small child to the whole mythos of comic book heroes and then Tim Burton’s Batman ended up simply cementing that feeling for me. Then came the X-Men and Raimi’s Spider-Man and Nolan’s Dark Knight and then eventually the MCU and everything in between, and I’m still not tired of the genre. Thing is, with there being so many comic book movies and superheroes being so big and prevalent in our culture right now, that as much as I enjoy these films, it’s been a while since one genuinely surprised me. Now, I’m not talking about plot mechanics or killing off characters, because I still revel in the mechanics of these stories, but it’s rare that you see a comic book film that manages to fly under the radar a bit and then blows away your expectations. That’s why I found it pretty amazing (no pun intended) that after 8 movies featuring Spider-Man over the years that the most complete one ever made would be an animated film from what I would call most comic fans’ least favorite studio. Though I’m a fan of Sam Raimi’s original, ground-breaking trilogy, and an even bigger fan of The MCU’s Spidey efforts with Tom Holland, I was blown away by Sony’s Into the Spider-Verse, and how much it felt like the definitive big screen Spider-Man experience. Not only is the film a wildly inventive animation experiment, taking advantage of CGI and hand drawn animation like I’ve rarely seen before, on top of that this movie takes no prisoners in its storytelling, manically and lovingly spinning this yarn of numerous Spider-people brought together to save the multi-verse. The fact that this movie is so insane, and yet easy enough for my 5-year old to connect with is a testament to its greatness. The story is helped by focusing most of its energy on Miles Morales (Shameik Moore), the Brian Michael Bendis and Sara Pichelli-invented character who became the web-crawler in Marvel’s Ultimate Spider-Man line of comics. Miles is a terrific hero for this film; the teenage son of a black police officer and a Puerto Rican nurse, desperately trying to fit in at his new upper-class private school and failing horribly. It’s only after being bitten by a radioactive spider and finding other heroes like him does he finally find acceptance, both by his new peers and within himself. Also tremendous is the rest of the supporting cast of heroes. The first is Jake Johnson’s broken down, sweat-pants-wearing Peter B. Parker who ends up having to get over his personal issues to teach Miles to become the Spider-Man he needs to be. Next is The Amazing Spider-Ham (John Mulaney), a literal Looney Tunes-type character from a cartoon universe. Then there’s Spider-Man Noir (the perfectly cast Nicolas Cage), a version of the character from a 1930s-style universe that must constantly battle Nazis. Peni Parker (Kimiko Glenn) & SP//dr are characters from an anime-style universe. Then there’s my daughter’s new favorite comic book character, Spider-Gwen (Hailee Steinfeld), an ultra-cool, ballet shoes-wearing version of Gwen Stacy who becomes a superhero after losing her best friend. Lastly, there’s Lily Tomlin as the best Aunt May of all time, bringing her characteristic sass and gravitas to the role and making it her own. To say that I can’t wait to see more adventures from this epic superhero team-up is a gigantic understatement. My immediate thought upon exiting the flick for the first time was that I was so excited for the kid whose mind was going to be blown by this movie the same way Superman did for me back in the day. Funnier than Raimi’s movies and bigger in scope than Homecoming, Spider-Man: Into the Spider-Verse wowed me with visual excitement and a terrific story of finding not only your friends, but finding yourself in the process. It’s about being the best person and hero you can possibly be, and what could be a better Spider-Man story than that? It seems like the easiest thing to do to make a film about Americans going to the moon, and having it be this big inspirational tale where we make our giant leap for all mankind, and the music swells, and we all go home happy. Only that wasn’t the movie that Damien Chazelle wanted to make. Chazelle’s First Man, which chronicles Neil Armstrong and the Apollo 11 mission to the moon, is first and foremost about sacrifice. While the film absolutely treats the moon-landing as mankind’s greatest achievement, it also goes into great detail about the lives lost and the personal wreckage, both literally and figuratively, that it took to get to the furthest reaches of space that we’ve ever been. Hats off to Ryan Gosling, who doesn’t go for a showy, myth-making take on Armstrong. As he reportedly was said to have been, Neil Armstrong is shown here to be quiet and a bit awkward, often bottling his emotions even when it came to his private life. Armstrong is an engineer and a mathematician, constantly going over numbers and only showing a sort of classic heroism through his hard work and determination. Of course, this is most exemplified through the film’s various space missions, including the nearly disastrous Gemini 8 mission which saw he and his co-pilot’s spacecraft spinning out of control. It’s as harrowing as movie’s get and to think that men really had to endure it is enough to make your stomach turn. Coming off his Best Director win for La La Land, Damien Chazelle does a 180 from that film’s pristine technicolor dreamscape. Everything in this film is geared toward getting you in the mindset of how “seat of their pants” NASA was during this period, giving these missions a more immediate sense of danger onscreen. The film’s muted look reminds us of 1960s documentary footage, which I think subconsciously heightens how archaic much of the technology is, despite how cutting edge it was at the time. In spite of replicating NASA’s missions in space for the screen, most of them are shot in a supremely claustrophobic style illustrating how confined these men were compared to the shuttle missions that would come later on. Chazelle also uses sound so effectively here to add menace to these sequences, letting you hear every squeak and clank as if the ships could tear themselves apart at any moment. All of these touches pay off in the film’s climax, as the moon landing is photographed with IMAX cameras and gives you an epic view of these astronauts’ achievement. POV shots make this a melancholy, yet unforgettable experience, illustrating the vastness and loneliness of space all at once. While the flag is present in several shots, the moment is not one of mindless celebration, but one of catharsis. We’ve seen what it took to get here and how people have had to lay down their live for this achievement and it ends up a solemn, sobering moment. Also not to spoil it, but the sequence ends with one of the most profound cinematic moments of 2018, crystalizing this film’s themes in one haunting shot that really brought home for me just how great this movie really was. Now I know you may scoff at this choice as my #1, and yes there were movies that had more to say politically or socially, but when weighing this list I kept thinking about the films I was going to want to take down the road with me. Which 2018 movie was the one I was going to watch over and over? Well, when I put the films on this list into that context, no film really even came close to Mission: Impossible – Fallout. Like Infinity War I did a big write-up on Christopher McQuarrie’s action epic when it came out, so my thoughts on the movie are pretty well documented and I don’t have a lot more to add, but suffice it to say, I love this movie with all my geeky heart. I just think this picture is special on so many levels. The craft at which this film was put together is astounding and everyone is so game for what McQuarrie has in store for them all. This goes double for Tom Cruise, who puts in about as much effort on this film as any action movie star in history. Cruise’s onscreen combination of Cary Grant and Jackie Chan works so marvelously here that I can hardly fathom it, as he hangs from helicopters and jumps out windows, but still manages so much charm, especially in his scenes with co-star Rebecca Ferguson. For what it is, Mission: Impossible – Fallout is a near perfect film. Filled to the rim with real stunts and some of the most incredible action I’ve ever seen, this is exactly how blockbuster film making should be done in the modern era. It’s no small thing to me to say that this was my favorite film of 2018, because last year had a ton of an amazing movies that I’ll be thinking about for a long time. This is the just the movie I’ll be watching and thinking about the most.